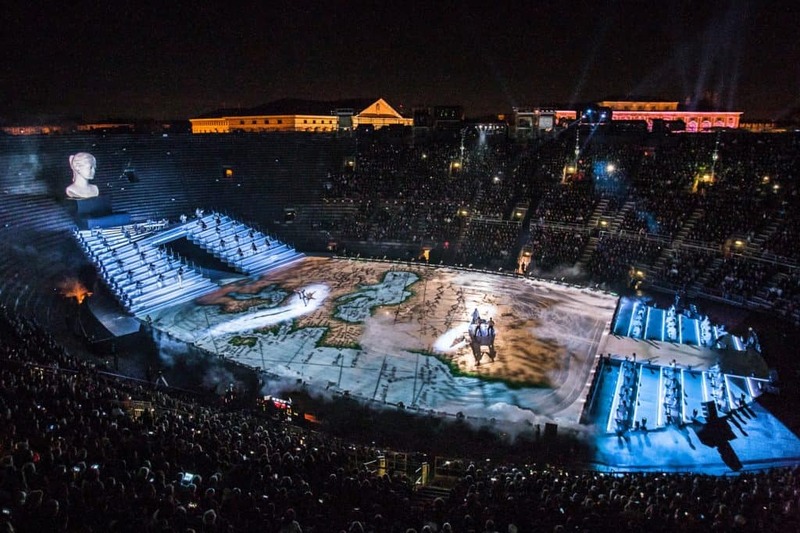 Returning for its fourth year, Intimissimi on Ice combined music, dance and video in one spectacular show, produced by Balich Worldwide Shows and Opera On Ice. 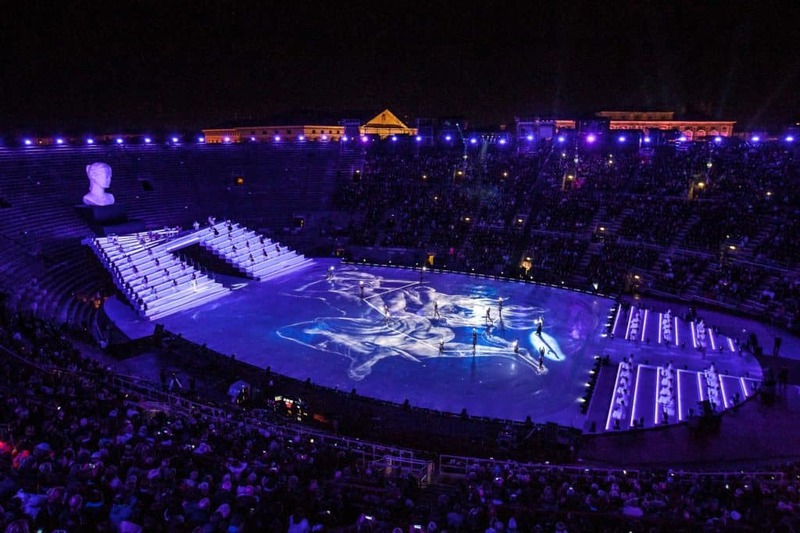 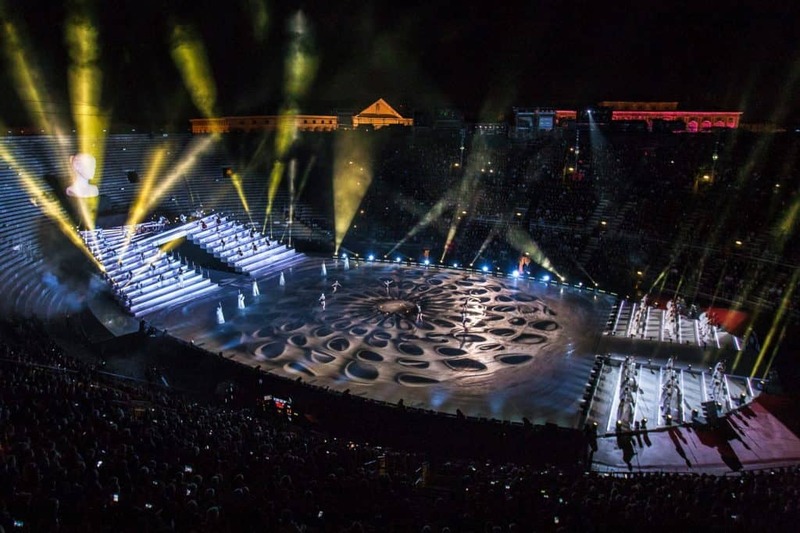 Taking place at the Arena Di Verona over 3 nights, this 360 degree show combined the greatest international talents of the opera and pop scene with the most celebrated ice skaters in the world. 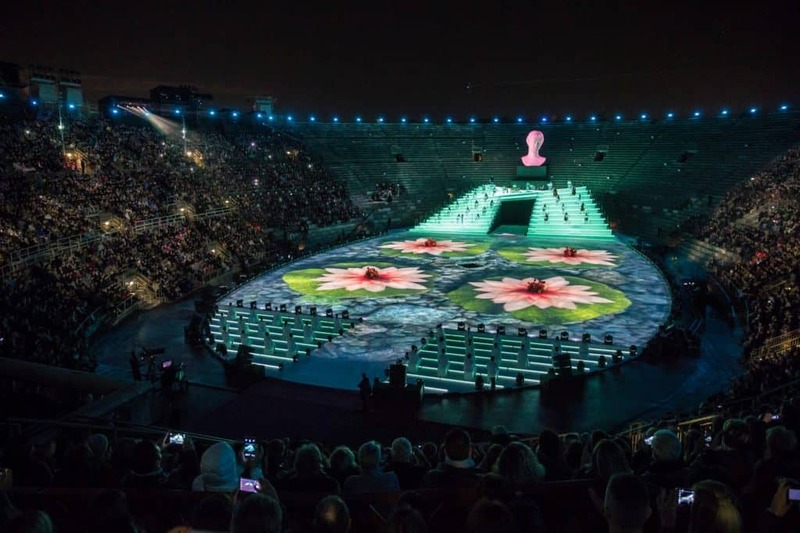 ‘Legend of Beauty’ was inspired by classical mythology with skaters representing characters such as Venus, Elena of Troy, Circe, Medusa, and numerous other prominent heroes of Greek mythology. 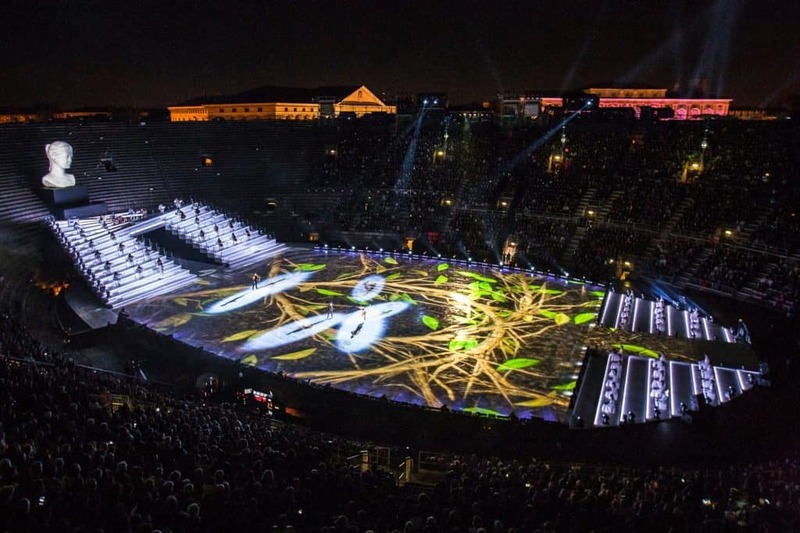 59 Productions created the video design for the piece which was projection mapped onto the ice rink as the world class skaters including Shizuka Arakawa, Evgeni Plushenko and Stephane Lambiel performed to a specially curated musical soundtrack.